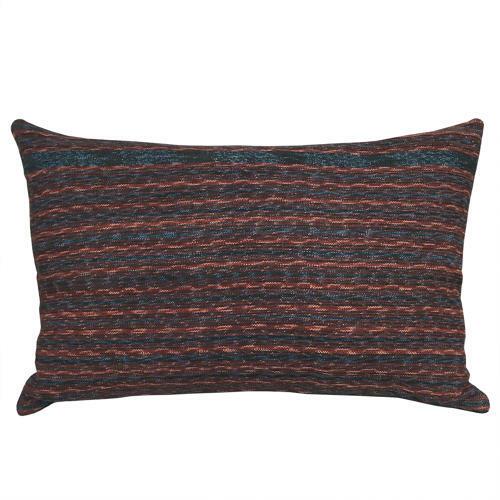 These cushions are made from a vintage ikat woven by the Lamoholot people of Flores, Indonesia. The pattern comprises a thick cotton ikat weave in brown, stone and blue. I have backed the cushions with a blue dyed vintage hemp. There are zip fasteners and feather pads.